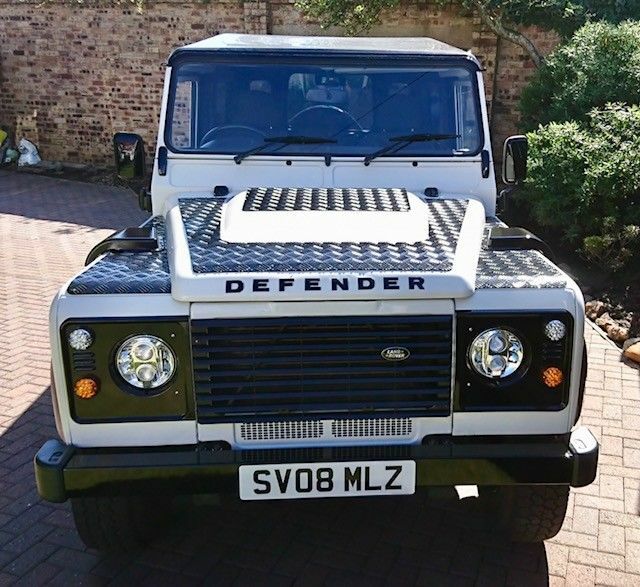 Truly stunning, Fully modified Land Rover Defender 110 Hard Top conversion for sale with full MOT and good service history. Presented in striking Chawton white with gloss black exterior accents and black Mondus cloth interior it looks truly stunning on the road. 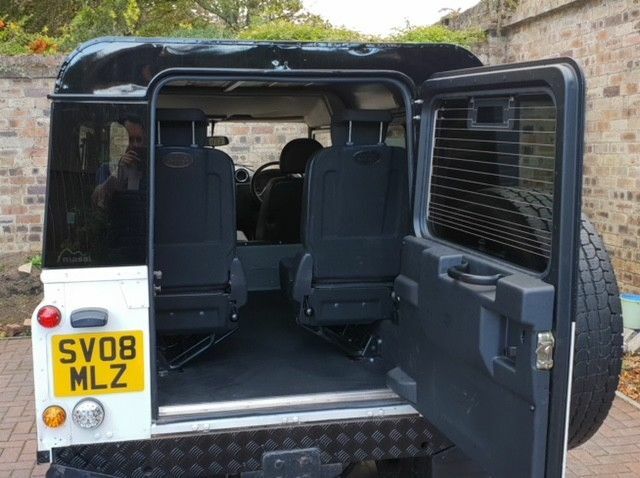 § Full rear conversion including tub conversion to accommodate official Land Rover rear seats and associated safety features. § Cross member, chassis and bulkheads all in very good condition and have been treated to preserve for the future. § A full stripdown and repaint to brighten up the paintwork and addition of new grills, bumper, chequer plate and decals. § 5 new 16” Tornado Alloy Defender XS Wheels powder coated in gloss black with new General Grabber tyres and upgraded sport red brake callipers. 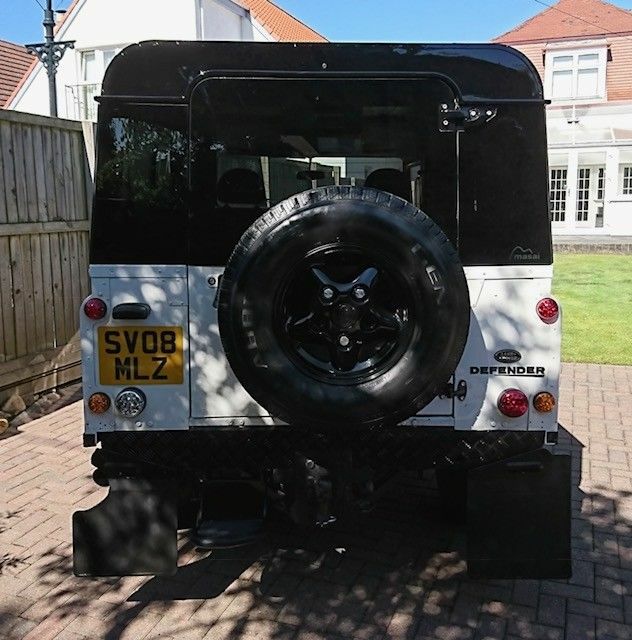 § Fully carpeted (OEM Land Rover Black) and addition of central cubby box and upgraded CD radio / speakers. 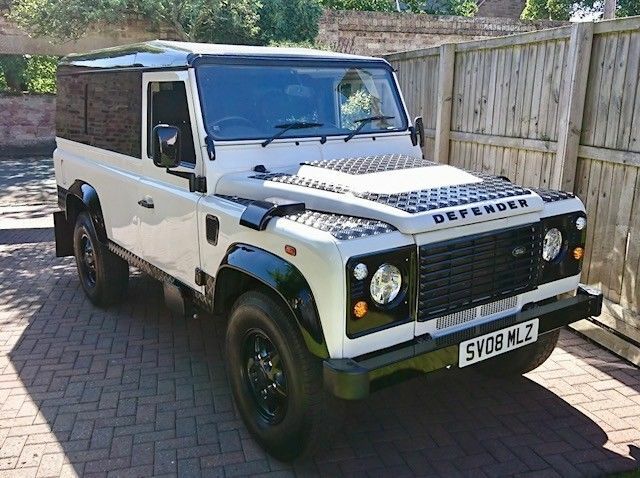 A PUMA Defender, this car has the powerful factory fitted Ford DuraTorq engine with a variable geometric turbocharger giving good torque across all gears. The engine has been serviced regularly and recently had a top-end rebuild as part of the upgrade package. In addition it has had new springs and shocks all round, all bushes replaced and new brake lines installed, All engine filters replaced, engine oil changed and propshafts greased in line with manufacturers high mileage comprehensive service guidance. Averaging circa 15,000 miles per annum since registration this is in keeping with the manufacturers guidance and the engine runs smoothly, powerfully and efficiently. Comes complete with owners leather book including service history and historic data including MOT notes and servicing details. 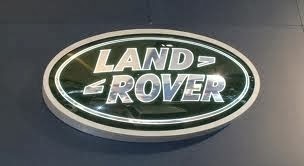 Land rover Thousands spent on Restoring.